Penelope Cruz and Javier Barden star in Jon Forman's festival favorite Everybody Knows. We're starting to get an idea of the Oscar favorites! TORONTO – Between them, three Greater Cleveland movie stalwarts already have watched 100 motion pictures at the 43rd annual international film festival here, and one of them went home two days ago. That would be Cleveland Cinemas President Jon Forman, whose annual six-day stay also again left him with good feelings about a business he’s excelled in for more than four decades. “Yes, I'm back in Cleveland, and I often return from TIFF with my spirits lifted and with renewed faith in our industry,” Forman wrote in an e-mail. “Naturally, I remain excited about business and the ‘grossing potential’ for many films. Mallory Martin, director of programming & projection for the Cleveland International Film Festival, and Artistic Director Bill Guentzler both generally agreed with Forman’s TIFF perceptions. “Overall,” said Martin, “it felt slightly less busy than previous years, with less distribution deals being announced during the festival, as buyers are growing more cautious.” Nevertheless, Martin, whose TIFF viewing approached a whopping 50 films through yesterday, added that there remained a lot from which to choose. Martin also listed Border, Sweden’s Oscar submission this year, that’s “a delightfully dark and strange tale, destined to be a cult classic, about a border agent who can smell human emotions”; Phoenix, “ a debut feature from Norway with some fantasy elements, telling the story of a young girl who is forced to grow up too soon while struggling with her mother’s mental illness”; and Skin, based on the true life story of Bryon Widner, a reformed white supremacist from Sidney, Ohio (though the film is primarily set in Toledo). Widner also was the subject of “Erasing Hate,” a 2011 documentary. Of course, Martin and Guentzler are here mostly to scout product for this spring’s 43rd annual CIFF, set for another 10-day run of its own, March 27 to April 7 at Tower City Cinemas. That didn’t stop the artistic director, though, from checking out a couple of “addiction films,” Beautiful Boy and A Million Little Pieces. With Forman operating 46 screens at six locations, his TIFF focus was al-inclusive. He’s not as “bullish” about the Neil Armstrong story, First Man, but said he enjoyed it and thinks audiences will want to see it and respond favorably. “Certain other films resonated with me,” Forman said, “because they reminded me of why I fell in love with the business 40-plus years ago. 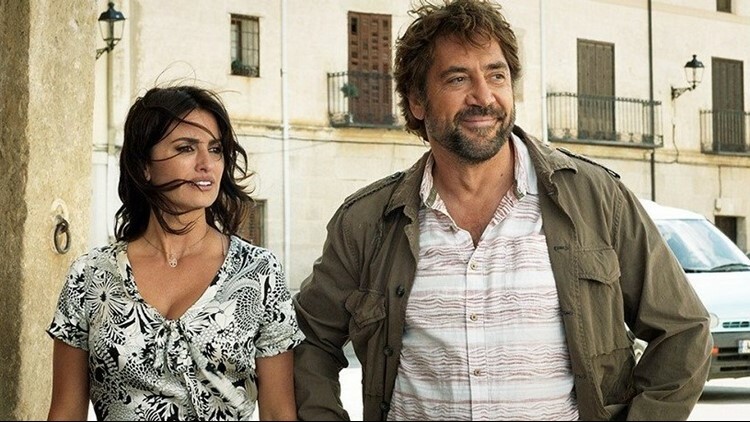 Even if Everybody Knows is subtitled, it was an extremely well-made and acted family drama with a great cast (including Penelope Cruz and Javier Bardem). All told, Forman reported, he saw more than 20 TIFF films and “didn't walk out of any (although there were some – which will remain unnamed because I may end up showing them -- that I probably should have left”). TIFF 43 runs through Sunday. Return here Monday for a festival wrap-up of award-winners and personal pans and plaudits. Here’s an early preview: Green Book (a true story out of the early ‘60s with Mahershala Ali and Viggo Mortensen) will be featured. Until then, you can check out all the above titles at tiff.net.